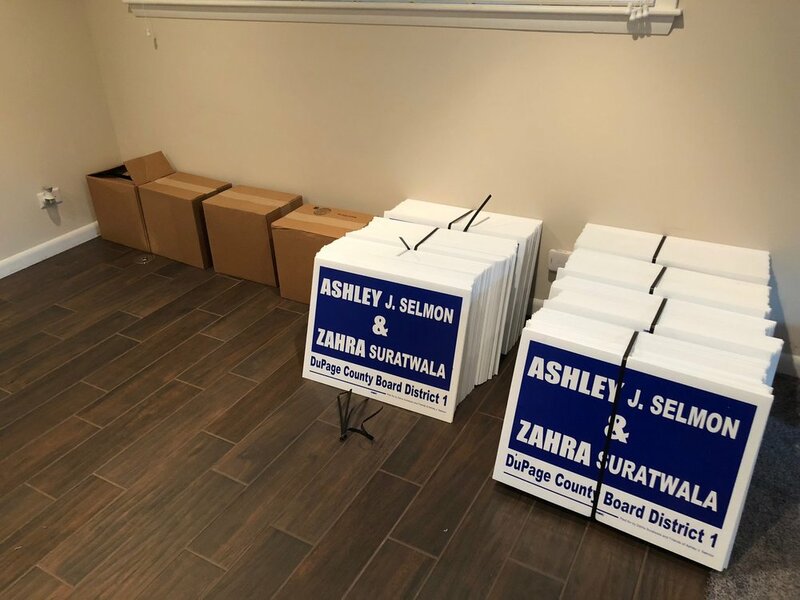 The fundraiser to support Ashley J. Selmon and Zahra Suratwala for DuPage County Board (District 1) is this Sunday, September 9th at 2pm at Green Thumb Florist and Greenhouse in Wood Dale, IL. We hope to see you there! Excess parking is available across the street at Maher Lumber (301 W. Irving Park Rd, Wood Dale, IL 60191). If you need assistance, please contact either Ashley or Zahra. If you donate postcard stamps, you will be given a free flower pot you can fill with dirt and plants available for purchase at Green Thumb. Additional cash donations will also be accepted in lieu of stamps. We will have fun outdoor games for children as well as some light refreshments. The easiest way to RSVP is to buy your tickets ahead of time here: https://secure.actblue.com/donate/zafundraiser We will also be able to accept online payment, cash, or check at the event. Zahra Suratwala and I did an interview with Ballot Breakers - check it out! While you enjoy some relaxation with friends and family today, Labor Day is a time to reflect on the power we all have when we work together to make our communities safer and more fair. Thank you to everyone who marched with us yesterday in Addison and to everyone who offered a friendly wave back! A hot but fun day talking with voters in Bensenville and Bloomingdale today with Zahra Suratwala! Want to help us make sure your neighbors know you're ready for a new generation of leadership on the DuPage County Board and live in District 1? 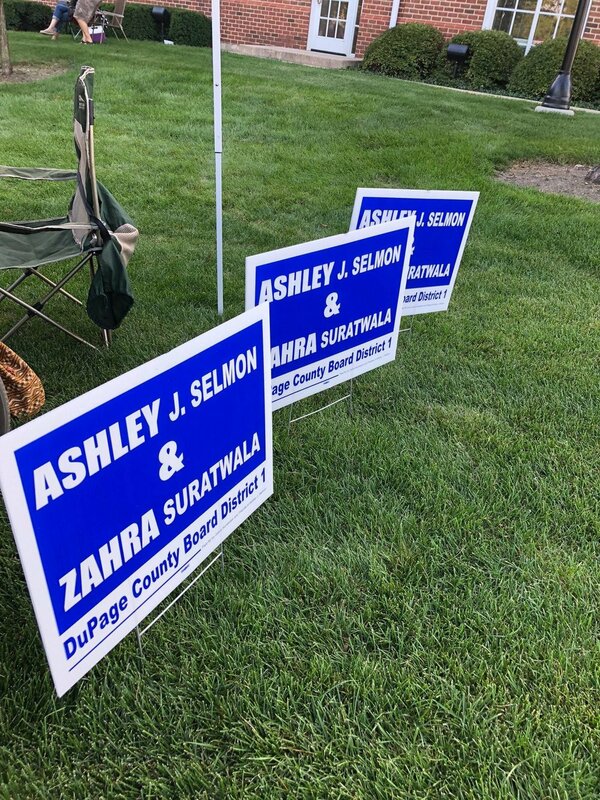 Put a sign in your yard supporting myself and Zahra Suratwala! We had a great time this morning sharing our hopes and plans for the future in District 1! DuPage County deserves better -- Vote November 6! Lynn LaPlante, candidate for Chairman of the DuPage County Board, said it perfectly, "I will fight this corruption, bloat, and inefficiency. I will not participate in no-bid contracts and pay-to-play schemes with big donors. I will promote transparency and take the politics out of this extremely partisan county board. Local politics should be about doing what is best for our neighbors and our community, not about personal enrichment." DuPage County deserves so much better than this current board. We can all choose to Build a Better DuPage on November 6!